Annual community duathlon is open to the wider community, encouraging participants from a wide variety of ages, from pre-schoolers through to adults. Our aim is to promote physical activity within our community. 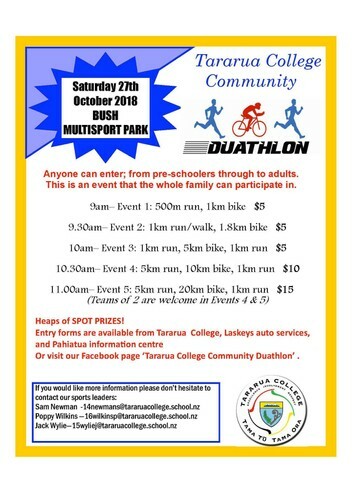 Entry forms available from Tararua College, Laskeys Auto Services and Pahiatua Information Centre.